If you've ever had or cared for a loved one suffering from dementia, you know what a hopeless feeling it can be. Dementia cruelly attacks not only our loved ones' cherished memories and cognitive skills -- it often leaves them physically and emotionally wasting away, as they succumb to depression and even begin refusing foods they once loved. I understand the heartbreak of caring for a loved one with dementia. And now there's a ray of hope on the horizon for dementia sufferers and their caregivers, thanks to an intriguing new study out of Taiwan. Researchers from the National Yang-Ming University set out to improve quality of life for millions of people currently suffering from dementia. And these researchers noticed the same things we all notice -- as many dementia sufferers surrender to depression and cut back on eating and physical activity, their physical condition declines rapidly. So instead of attacking the problem with some toxic, side-effect-laden prescription pill, the researchers tackled the problem another way -- with a fork. 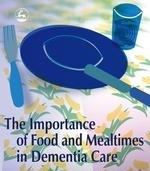 More than five dozen dementia sufferers underwent memory training exercises that were designed to help them remember proper nutritional habits and to eat more regularly. The trick, it appears, is to get patients to remember the same thing over increasing lengths of time. And if you think memory training can't work for dementia patients, think again. The patients who received memory training were able to dramatically slow their emotional and physical declines. Patients who were trained to remember proper nutrition were able to increase their body mass index and significantly reduce their scores on a common depression scale -- all in just six months. Dementia always effects more than just one person. It takes a terrible physical and emotional toll on both patients and their caregivers. If a loved one is suffering from dementia, don't give up hope and don't watch him slowly disappear into the couch. By working with your loved one to maintain proper eating habits, you may improve his quality of life and lengthen the time you have together. Since nutrition is so important, that also means that proper digestion is right up there. Make sure you are getting a good digestive enzyme. Ghee whiz. Butter isn't bad.